At ColourMyWall.co.uk we are committed to making sure that you are utmost satisfied and happy with your purchase and experience when placing an order with us. All our vinyl products are produced in the United Kingdom and to your personal specification. A lot of care and precision goes into producing each and every one of our products to ensure the highest quality. As we take great care in the production of our products and our aim is to keep you, our customer 100% satisfied, we have this set of terms and conditions to ensure that you know exactly what you are getting into. By placing your order with ColourMyWall.co.uk you accept to these terms and conditions of sale. Your vinyl will be carefully packaged in a strong cardboard tube along with step by step instructions and an applicator. Free Standard UK Signed for Delivery for all orders delivered within the UK, when spend is over £60. Standard UK Signed for - Deliveries are dispatched using our 48 hour guaranteed courier service. As soon as your product is dispatched you will receive a tracking number, with which you will be able to log on online to see the progress of your delivery. A signature will be required on delivery so please remember to consider this when choosing an address for delivery. Express UK Signed For - Deliveries are dispatched using our 24 hour guaranteed courier service. As soon as your product is dispatched you will receive a tracking number, with which you will be able to log on online to see the progress of your delivery. A signature will be required on delivery, so please remember to consider this when choosing an address for delivery. Ireland & EU Signed For - Deliveries are dispatched via recorded delivery and should take 5-8 working days to reach you. As soon as your product is dispatched you will receive a tracking number, with which you will be able to log on online to see the progress of your delivery. A signature will be required on delivery, so please remember to consider this when choosing an address for delivery. Rest of the World Signed For - Deliveries are dispatched via recorded delivery and should take 5-14 working days to reach you. As soon as your product is dispatched you will receive a tracking number, with which you will be able to log on online to see the progress of your delivery. A signature will be required on delivery, so please remember to consider this when choosing an address for delivery. Once an item is dispatched, ColourMyWall.co.uk will not be held responsible for late deliveries outside of our control. By accepting these terms and conditions, you accept that that ColourMyWall.co.uk has no influence or control over any delivery service providers. On delivery of your purchase you will be asked to sign for the goods, so please make sure that there is somebody available to do this or accept that your parcel will be subject to the courier's own undelivered parcel procedure (which they should advise you of, usually by a note left at the address or in some cases they may just attempt redelivery at a later date). It is the Customer's responsibility to arrange re-delivery or collection and any associated charges. As such, we cannot be held responsible for un-signed for parcels. On the occasion that specific delivery dates have been agreed but, despite our best efforts, cannot be met, the Buyer will be notified and given the opportunity to agree a new delivery date or receive a full refund. The Seller shall not be liable for any losses, costs, damages or expenses incurred by the Buyer or any third party arising directly or indirectly out of any failure to meet any estimated delivery date. All our product dimensions are rounded off to the nearest whole number and are the closest approximate measurements in centimetres. The layout image displayed in images shows how your sticker will be supplied. In cases where stickers can be separated, we may cut the sheet up for better application and packaging purposes, the size of the stickers will always remain the same to what you purchase. Our products are sensitive to different surfaces and conditions therefore we can’t be held responsible for any damage to buyer’s surfaces. We can be contacted by phone or email and can offer advice about our materials, application of our products and discuss any issues the buyer may have in regards to their surface. We do specify that vinyl colours may vary due to differences in monitor settings and we do advise that you initially request for a free colour sample guide from our website. Below is www.colourmywall.co.uk policy on collecting your personal and visitor information. Cookies are being used on the Colourmywall.co.uk website to improve the user navigation and shopping experience and collect relevant information to improve our service to the customer. The information collected is not sensitive or relational with personal information such as name and email address but it’s anonymously collected as a statistic for general analytic purposes. The cookies used on this website are essential for the functioning of the website and process the shopping cart effectively. When we collect your personal information to process your order we do not share it with any 3rd party apart from the banks and payment processing agencies on request for fraud protection. We do not store your credit or debit card information. 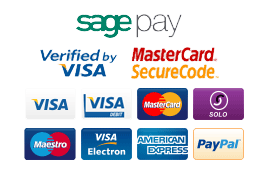 Your credit card and debit card payment information is processed securely by PayPal or SagePay. We only store your billing and delivery address and contact information such as telephone, mobile and email address to successfully process and fulfil your order.